Fine quality and nicely proportioned Georgian period mercury wheel barometer with thermometer, Hygrometer and level gauge. The mahogany case with ebony stringing and swan neck pediment with Fahrenheit thermometer and 10″ silvered dial. Made by “J. Dubini-73 Leather Lane, Holborn, London” in the early 19th century. Fully restored with one years guarantee. Ref: b0530. JB. 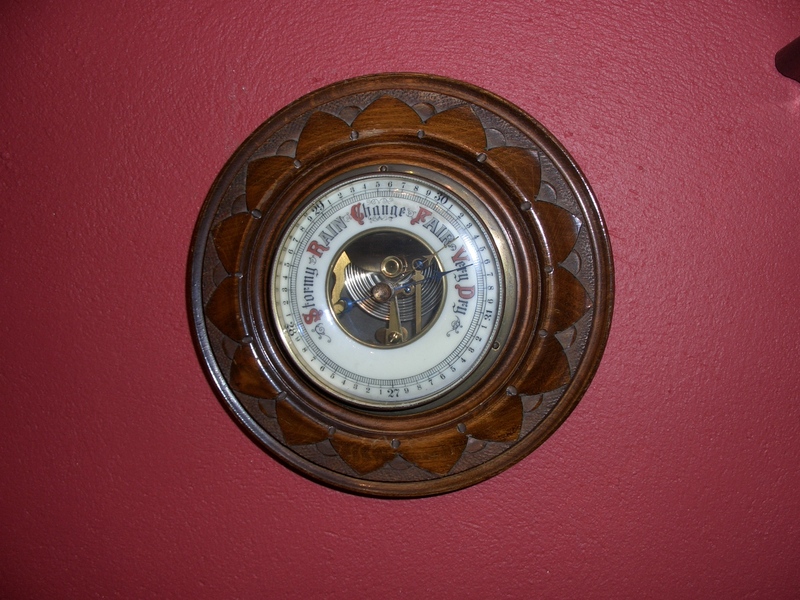 & J. Ronchetti mercury wheel barometer – SOLD. Edwardian Aneroid barometer. Carved walnut case with brass bezel with bevelled glass panel. Porcelain dial with visible movement to centre. Fully restored with one years guarantee.